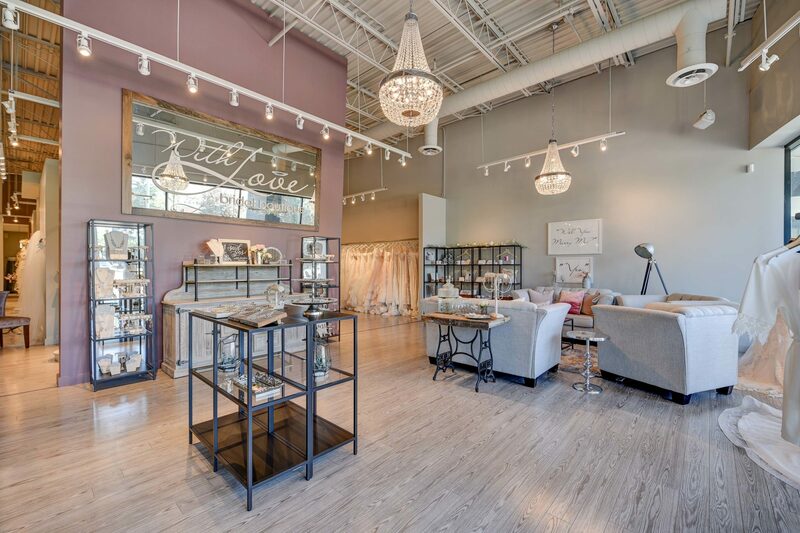 From a small red brick house in Stittsville to a gorgeous modern space in Kanata, since 2010 With Love has grown to become one of the most loved bridal boutiques in the Ottawa area. We believe that wedding dress shopping should be as memorable as the dress itself. Every appointment is dedicated to providing our brides with a warm and highly personalized shopping experience – from the second you step into the bright bridal suite to the moment you fall in love with your dress, we are there to support you.